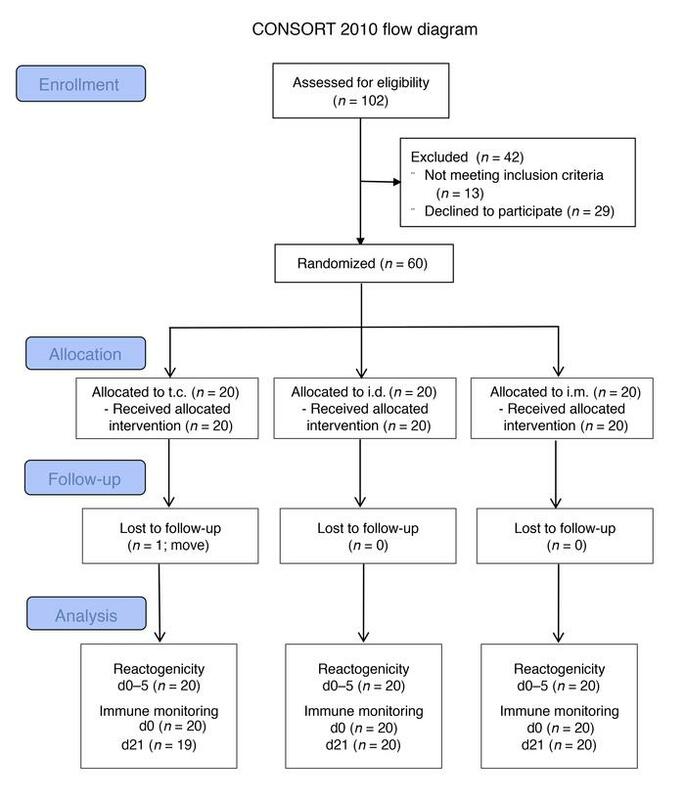 Flow diagram of 60 participants through the phases of the FLUWAY randomized phase I/II clinical trial. Flow of participants through the FLUWAY clinical trial, according to Consolidated Standard of Reporting Trials (CONSORT). Sixty participants were enrolled, randomized in 3 arms (1:1:1), to receive TIV vaccine by t.c., i.d., or i.m. routes on d0.